As dusk settles and the orange-pink hue of evening light plays across the waters, Club Macleay’s award winning Waters Edge Bistro makes for a pleasant place to relax and admire the spectacle. 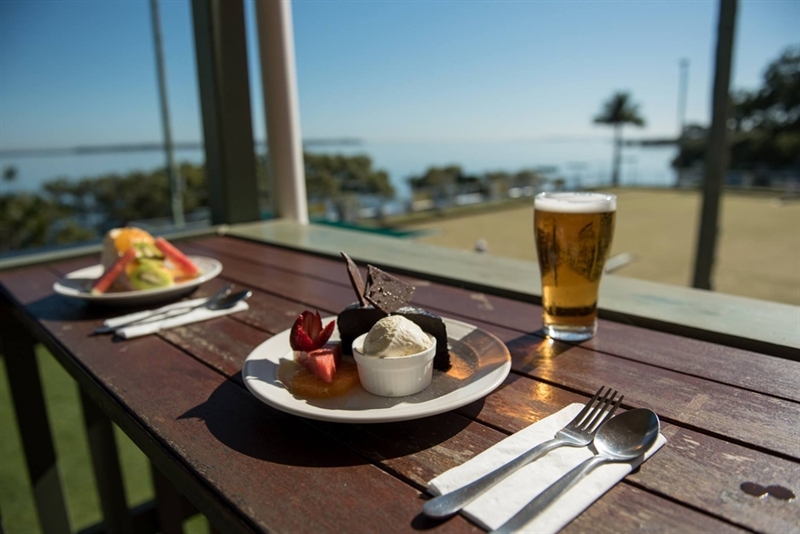 Located on the upper level of Macleay Island's Bowls Club, visitors enjoy pre-dinner drinks out on a deck by the water, refreshed by ocean breezes. Australian bistro style fare is on offer and incorporates seafood sourced fresh from nearby waters, so perhaps begin with a serve of crumbed calamari, oysters Kilpatrick or tempura prawns with dipping sauce before sharing a Seafood Platter for two from seasonally caught creatures. Alternately, chow down on a rib eye steak with mushroom sauce, leaving room to celebrate a win on the lawns with a classic sticky date pudding drizzled in caramel sauce. The Bay Islands are located in the beautiful Moreton Bay Marine Park and are just a short ferry trip from Redland Bay. The water taxis depart Weinam Creek Marina, located at Banana Street Redland Bay and run frequently throughout the day, 7 days a week servicing all islands. The boats are wheelchair friendly likewise all the jetty facilities. Tickets can be purchased from the ticket office located at the Redland Bay terminal. One –way fares can be purchased aboard the vessel. Full eftpos and credit card facilities are available at the ticket office. Public bus services run to and from Weinam Creek Marina. Please visit Translink for bus routes and schedules. Please call the Club in advance to book the courtesy bus (operates Wednesday to Sunday). Never disappointed. I don't wanna go to mainlandfor restaurant anymore. Best restrant i have ever been in my life. 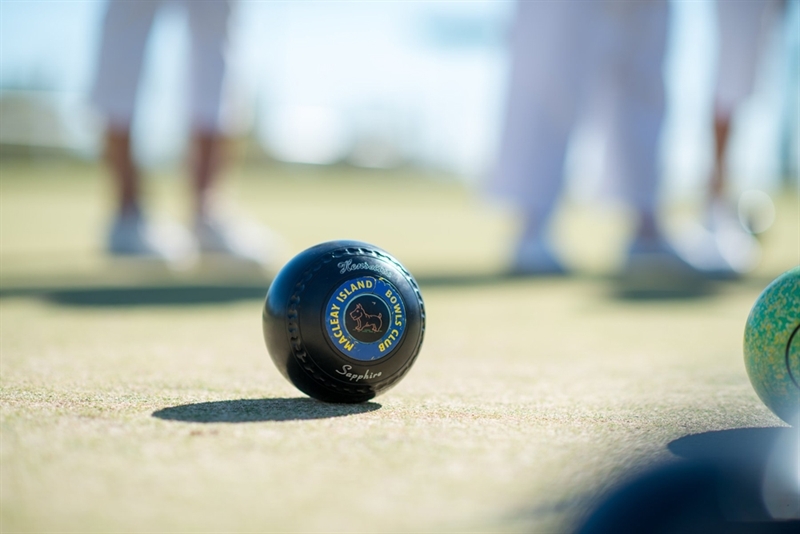 Macleay Island Bowls Club is pleased to announce a new kid’s corner! Relax and enjoy your dinner or coffee & cake whilst the kids are entertained with some of the latest DVD’s. Please note: Kids corner is not a supervised area. House policy applies. (Conditions apply, contact club first) If you are celebrating a birthday this month, book any Wednesday night during your birthday month and you will be eligible to claim your Members Birthday Rewards. ie Buy one main meal and receive your second main meal half price. A courtesy bus is available for members and visitors from Wednesday to Sunday. The club courtesy bus will collect you from your door or from the water taxi terminal as well as return. The courtesy bus departs the club every half hour when required. To make a booking, please phone the club at least half an hour prior with your name, address, number of passengers and pick up time.